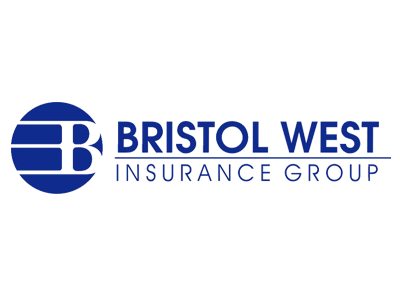 Bristol West Insurance Group (BRW) manages auto insurance claims and policies. In 2002, they were faced with a problem- their programmers were taking longer than expected to generate new software to manage their business, completing only 30% of their software projects on time. To improve their project completion rates, Bristol West needed IT governance - the ability to review all of their current projects and status reports to effectively assign resources, so that project teams could work efficiently. However, they had no formal project management tools in place, and because some of their programmers worked remotely, both in and out of state, the deployment of any new solution appeared complicated. Bristol West, which used Microsoft Outlook/ Exchange platform for email, evaluated TrackerOffice, which could extend their messaging platform with the project portfolio management capabilities they needed. It was a perfect fit. TrackerOffice deployed easily onto Bristol West's Exchange servers. As TrackerOffice is 100% server based, installing TrackerOffice to Bristol West's Outlook clients was as simple as sending an email with a hyperlink. This greatly simplified bringing Bristol West's remote workers on board with the new solution. With TrackerOffice, Bristol West managers were able to quickly review their entire project portfolio and make adjustments as needed. Using Tracker, Bristol West has seen their on-time project completion rates jump from 30% to 80%. The Tracker Data Warehouse, which provides real-time data on Bristol West's operations, is particularly valuable. For example, Bristol West executives use a customized weekly CIO report, which lists the department's projects and their current status, budgets and actual costs. Kevin Brady, one of Bristol West's project directors, observed, "It's valuable to our executive team and CIO because they can look at the costs and see where we're spending our capital relative to the return on our business." (Bristol West Moves to PPM, Insurance & Technology Online, Sept. 14, 2004).